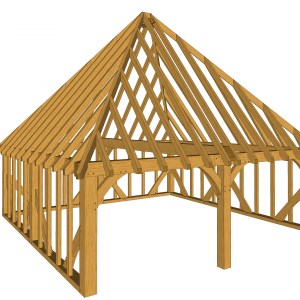 Whether it’s a traditional look you’re seeking – or a more contemporary style – an oak framed structure will enhance any property and add value to your home. 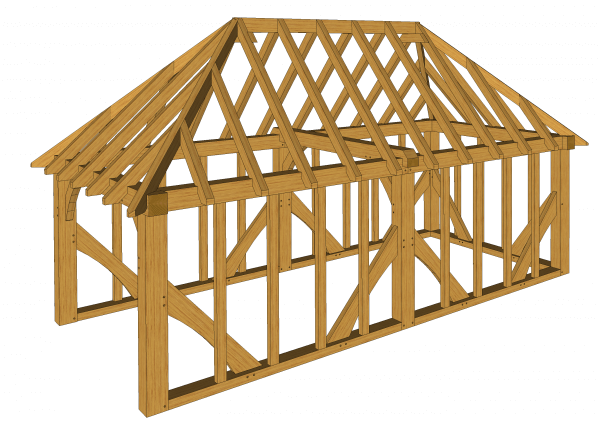 Using a centuries old design, the structure is supplied ready for construction using the traditional method of draw pegged mortise and tenon joints with curved knee braces and a variety of vaulted roof structures. 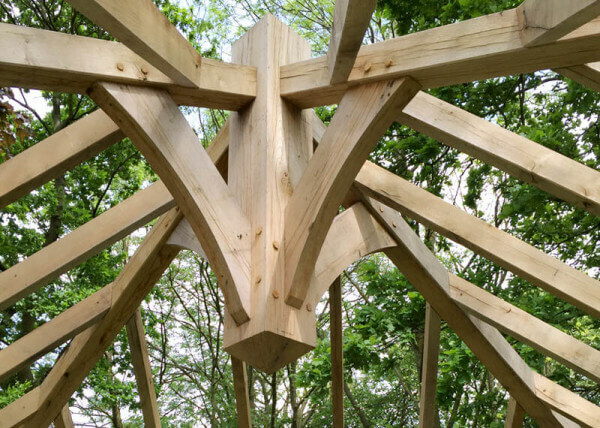 Each structure is individually CAD designed for a perfect fit. We have a range of roof shingles, decking, cladding and flooring to help you finish your project. 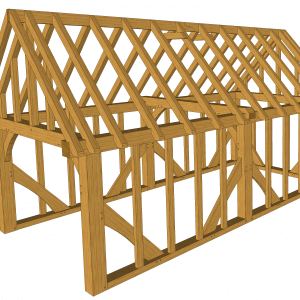 Whitmore’s oak framed structures are sold and supplied for self-assembly. 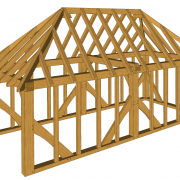 Each kit will contain the timber frame constructional material only as exposed posts and beams and vaulted roof and excludes any finishing products, flooring or roofing. 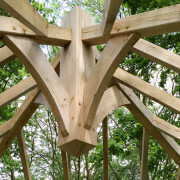 Please note that all of our oak structures are made to order. 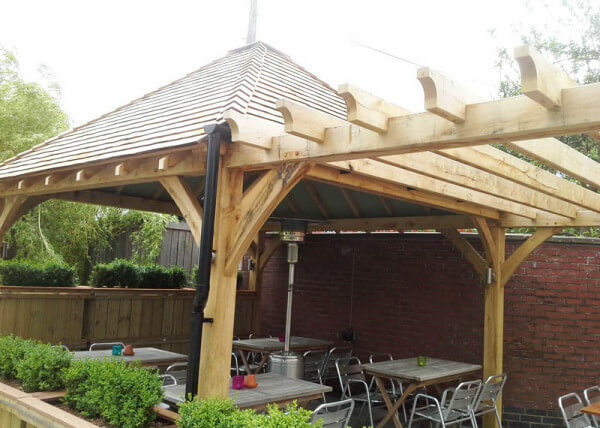 Oak frames are natural materials and as such, may display certain characteristics which are normal and expected. Due to the nature of oak, shrinking and cracking are all part of its character. Oak will weather to a beautiful silvery grey colour over time and any joinery, hinges or weatherboard may require ongoing maintenance and decoration for optimum performance. A nationwide delivery service is available. 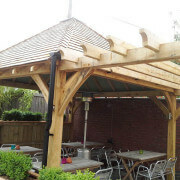 At the time of ordering, we will require any specific details relating to delivery such as the site layout and access. Whitmore’s standard terms and conditions apply.